The novel is a typical shonen wish-fullfilment story. It has a protagonist that can fight, has an infamous secret identity, is an object of girls' affection, is admired by people, has friends, is cool, etc. It has everything I ever dreamed of as an adolescent. There's tons of pseudo-science involved and LOT of things don't make sense at all. Just accept those as real in... more>> this world. There are also things/events that should have been explained but was instead glossed over. (Like his water source inside the mine) In these parts, I just fill in the blanks and move on. What attracted and kept me reading is the overall plot. After finishing the story, it's clear that the author has envisioned an ending at the onset and worked his way to it. Unlike other stories that just goes nowhere. The characters are also likeable and have their own motivations. They grow up and learn, and some of them have actual roles to play instead of just being there. Although the progression is often predictable and filled with all the tropes of a generic shonen, I do have to admit that some of twists are quite exquisite. Didn't have high expectations going into this, but was still disappointed anyway. MC is an orphan adopted by "mysterious old guy" who teaches him some cultivation techniques and then sends him off to a remote planet full of monsters. MC survives this and discover another mysterious old man in one of the magic crystals that his adopter gave him. The new mysterious old man teaches him more powerful OP techniques and the rest you can probably predict. The MC is careless and impulsive. On multiple occasions he gets severely wounded because he... more>> started celebrating before checking that the monster is dead, with the obvious consequence that the monster attacks him while he's celebrating. This happens repeatedly. On another occasion the MC brings his robot out with him and they get ambushed by monsters. The robot tells the MC to run away but the MC refuses and runs back in to save his robot. The MC then gets surrounded by monsters and was about to die until his robot saves him... so he runs away and the robot dies anyway. Except he saves the "mainframe" (I guess the brains of the robot?) of the robot so actually it's okay. I guess the MC can just get away with doing whatever impulsive things he wants and the author even explicitly encourages this as being "manly". And then after he returns to Earth the robot is never mentioned again. Seems weird that this robot that was the only companion of the MC for over a year and whom the MC risked his life to save would not be even mentioned after the MC returns to Earth. MC then goes back to Earth and enrolls in a school and wins fights in virtual reality games. At this point, I couldn't help but roll my eyes. Apparently because one very famous and beautiful female student joined the school, all the other people want to go to the school as well? That's like saying if Bill Gates or Mark Zuckerberg (after they became famous) goes to a sh*tty university then everyone else will go enrol at that university. Makes the same amount of sense. The boys in the classroom teemed with earnest enthusiasm in their study after Ma Xiaoru's arrival and all of them wanted to prove themselves in front of her. Inspired by his classmates, Wang Tong decided to study harder as well; after all, his grade was the lowest even in the F class. This literally never happens IRL. What kind of world do you live in where the mere presence of a beautiful girl can motivate ALL the slackers to study? Pretty unbelievable. The story is a bit of a fraud: first it shows really interesting survival on a frontier planet during war with Bugs - but after that it completely switches to a school type story with virtual gaming battles, school competitions and immature attempts at romance. Not a bad novel per say, but wow.... just wow....I feel really cheated by that synopsis. I was expecting some sort of Space Troopers-esk survival/colonization/cultivation plot for the most part of the story and then the author pulls a switch on us and we end up with some sh*tty school-life/virtual gaming bullsh*t and some sh*tty romance to top it all off. First of all I must say that it's currant rating of 3.4/5 is pretty much what it deserves. If you want an incredible story likely to become your favorite, what you would describe as a masterpiece, this novel is not for you. I will try to list what the some features in as a nuanced way as I can see them, good or bad. - The MC is too talented in too many things. Imagine a very talented chef which is a genius chess player because you have to be smart to be a chef, a great musician because he likes music, a great swimmer because he became muscled cooking, and so on. The MC does the something similar. It doesn't ruin everything, but it does makes the MC less plausible and more like an MC. - The universe is a futuristic intergalactic setting. But apart from the important or powerful people, the rest are "the crowd". It just makes the universe seem extremely empty, a waste as it could just have been earth with futuristic technology and it wouldn't change much. To give an idea, imagine going into the street and seeing only people you know. The billions of other people existing don't seem to exist. With this out of the way, I will get to be more objective about the better aspects of the story. Plot: It draws you in. The plot is average. It has competitions, training and combat, in true Xuanhuan fashion. But the author does manage to hook you and make you forget the numbers of chapters you've already read. Romance:The romance is one of the strong points of this story (this might just be personal taste, I guess). We see a romance that doesn't go into the harem and is believable, reminding me of Coiling Dragon. People actually have emotions other than rage, anger, humiliation, a thirst for strength.... (Too many novels really give the impression emotions are like a checklist, a plot justifier). Here we actually have have more humane people. Enemy: The most disappointing thing for me were the Zergs mentioned in the synopsis. I was hoping for an interesting, challenging enemy that threatens humanity. They are not. They are just bugs, an enemy like any other which at best can be said to give up a good fight for the MC. Then again, they do play a rather minor role in the plot (so far) (which is part of my disappointment). MC: The MC actually seems to evolve (I read Keklel's review which gives a negative if not inaccurate portrayal of the MC, but only up to c20). It actually gives a better than average coming of age story that makes a boy mature into an adult. I found this aspect enjoyable. The MC isn't without a fault however: his actions are sometimes justified weirdly (he is optimist=>he doesn't worry about that), but that is pretty much the only thing. The pacing of the story is unique. Sometimes an ellipse happens out of nowhere or an event is here without us expecting it. Some would say unpredictable while others would say chaotic. Totally unlike the other CN which focus on boring cultivation building where they make weapons, pills, and practices arts which goes on without excitement.. I totally don't have any dissatisfaction about this novel, the way the MC moves and reacts are on the realm reasonable..
Just try it guys and you'll love it. It seems very unique, it's just that the description on this site is sh*t.
The TL is not the greatest, and there are lots of forgotten parts, but as long as you ignore them the story is great. Valor is correct, this page does not accurately describe the story so far. There is no harem, and the synopsis is just an outline of the first arc at most. Okuri is generally correct, and I agree with their opinion. Simsi is kind of correct as well, but what do you expect? This story is based on a 16yr old kid, not a soldier. The story isn't going to be him living alone on a planet for hundreds of chapters. I like the romance, we finally got somewhere in the past few chapters. The first half of keks review is accurate, because it's a fantasy story and Chinese at that. The robot is mentioned a bit, he's still trying to revive it. As for the last point, I see where they're coming from, but it's covered a bit more later when she leaves that class and they start slacking again. They were just trying to show off. Also fighting giant mutating bugs isn't something that happen IRL that's why it's fantasy. Pretty dumb novel, I read halfway and think is this story worth it? And read the ending, and nope its trash. Pretty much full of the mainstream storyline of 90% of china webnovel, fight, train stronger, meet enemy, train again, be stronger, meet stronger enemy, loop till you become god. What you can expect for that summary, well seriously nothing, the fight is full of normal bs china webnovel, the plot is full of plot armor, and the secondary character is not that likeable in the first place. Some scene make... more>> you feel emotional though, like hmmm oh yeah 1 or 2 in 300 chapter. The author keep repeating the opness of the character and how almost nobody really know it, like all people is idiot. I cant stand with this kind of 'serious' story with no serious dedication of missing commons sense, so many time the MC identity secret almost revealed but ops nope, the MC got plot armor, f**k it, we know his 'secret' identity not revealed until he is strong enough, if not he already died and the story end, stop with the "what if" situation. My entire point is toooooo many loophole and the author is kind of stupid, if not the story or the character is. Dont really recommend this novel, I got it if its comedy but this novel is not! To much loophole you cant see it with seriousness again, only rage inducing story. 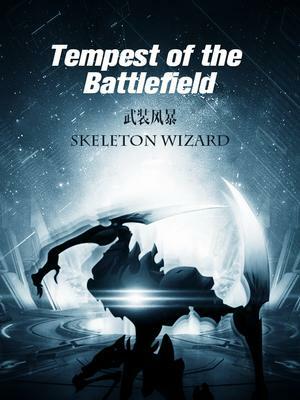 Just read the 1St 5 chapters and I have to admit it's taken a new turn on Xuanhuan. A new direction I have not seen in a bit and only then in American novels some Japanese as well. The suits are also connected to the Sea of consciousness (given a somewhat different name but ultimately the same) which is an individuals ability that doesn't have to rely on the suit itself. One can have poor genes and have a METAL suit but cannot have a METAL suit without opening the sea of consciousness. Like S.W's other novels the MC encounters great fortunes and gains the potential to become great. In just 5 chapters I can tell you right now that it has so far been more action packed then T.S.W and B.F as far as my reading is. I'm caught up on the first and 20 chapters behind the later. I've only read 3 out of the 4 books (available on NU) by this author and he/she is quickly ranking up there with I.E.T and Er Gen IMO. This isn't because of the novels themselves per se but the uniqueness and change of setting & foundation from novel to novel. To be honest this is just disappointing. It started off promising, and I was expecting the school arc. I was even looking forward to it, but it's just not done in a good way. Fisrt off idk who the main girl is yet since there's been 3 stunning beauties who the MC can't stop drooling over as soon as they appear. second it just feels forced. We know the MC is not smart or calm and collected as a commander needs to be as shown in his impulsiveness during the Zerg arc. And we know the only thing he has going for him is his OP strength but instead of using it the author decides that nope he needs to be a commander. The only reason I can think of for this bs beside the weak excuse the author gave of "its easier and pays more" is that he needs to force tension and make the MC appear like trash because that's the only way Chinese authors know how to wright a novel ig. It makes the novel feel like it has no direction to me. Make MC op<hides strength<forces MC to appear like trash<shows everyone he's not trash after chapter of abuse. If you liked the author's other novels, then you'll like this one. Don't expect anything super different. It's just got more of an Undefeated God of War vibe (this dude's much smarter though). The girls aren't annoying, although the romance is unclear. MC's OP and kinda has cheats. There's also the cliche of mysterious old dude raising him. I'd say that the hype in this novel is great though. MC's friends are pretty cool too. I don't remember school life, virtual reality, romance, and possibly harem being on the genre and tags. I wanted to read this story because the synopsis said robots and planet overrun by monsters. Hell, I was searching for a story with mechs but instead I got whatever tempest is. I'm not saying it's a bad story. It's just not the story the synopsis, genre and tags say it is. This novel at it best is a 2 Star. The beginning of the novel is where the story is at its best and from the middle of academy arc quality drops. As for the main tournament arc the author doesn’t even know how to distribute powers to each character. Romance in this novel is fukimg aweful. It’s a mystery how one write romance this terrible without getting arrested. Romance is too forced and is too stupid, man jumps from Samantha to Mu girl like he jumping puddles of water not to get some J’S wet. Fights in this novel is where is at its worst. In this novel plot arms doesn’t matter, MC basically always find the way to win because he’s not been giving his best and is always like little more powerful than his opponent. Author makes each new renown character seem so powerful and logically MC shouldn’t be able to beat them but f**k what do u know he’s actually slightly stronger than them it’s just that he didn’t show it. One of the best sci-fi novels I`ve read. Much better than Battle Frenzy which I also like. If you like academy life and various competitions where MC shows off his awesome abilities then this is for you. i was expecting starship troopers meets firefly with a little enders game and instead we get a day in the life of a hidden op MC.... at school. I was braced to read more about all the mecha (which I don't like) and was surprised to find none. so far the METAL suits seem to be some kind of battle armor but even the basic suits are not described clearly at all. the romance is not exactly a harem though it does seem like every beautiful girl out there falls... more>> for him, giving us some annoyingly angsty chapters (very shoujo). if you're reading this because it's school life, there are much better school life novels out there and after holding on through 100 chapters this novel still hasn't managed to hook me. One of the best novel out there reading it made it my one of the novel I wanted to read daily it has it's own unique vibe which makes me wanna read more never did I enjoy a novel such as this since good novel like this rarely appear such as my FIRST impression on this novel after chapter 200+. Unique MC, overbearing, humble at time and loves to remain low key and never shows off his OPness. The relationship of the characters must be unique there is friendship, rivalry and even epic cliche romance. Love if started must stick to it and never abandon struggle for LOVE fight for LOVE after all LOVE conquers all. Mysteries all over, Mysterious individual, organization and so on. In other words epic background story which make you wanna think what well happen in the future as you read this. MC suddenly became your average MC like other MC coward and moronic and dumb. Support character went hey wire all out of nowhere left one after another like nothing happens. LOVE for crying it out loud I was looking towards the unique relationship between principal and student but the aho author made them break up with the MOST EPIC LAME B*LLSH*T excuse ever made in this world and after all the MC struggle for the girl and he was like sent just a simple text that they need to break up! now that is what I can B*LLSH*T! Recycle Plot yeah recycle everything starts from zero... what happen no idea!? ask the author what did I read 200 chapters of awesomeness it's like eating a good food and after a week you are given the same food which is already a week old. Mystery died so drop it to stop my self from further being annoyed! Like I said it is a good novel but don't expect much after chapter 200 since it became rather dull and reading it is very painful at least for me that is. Overall I would recommend this for those that enjoy Cultivation, School Life, Romance, Harem, and Weak to Strong. Cultivation - 3 Star - MC has the most powerful cultivation in the universe and I can agree with this as this is the common theme when a cultivation is involved. Overall I think this aspect is handled rather well but there could be some improvements made. School Life - 3 Star - There is not too much to say about the school life it was also rather normal for a military academy with... more>> some standard situations occurring. Romance - 5 Star - I feel that the romance aspect of this novel was handled really well and it really drew me in more so that any of the other novels that I have read so far even if it was frustrating at times. Harem - 5 Star - I am going to call this a harem but you could argue for or against that for several reasons. To this point I felt that it tied into the romance aspect quite well and didn't draw away from the romance aspect at all.